On the one hand, Craig Berry is a normal Magic player. He enjoys casual games with friends. He has a family he works hard to support. 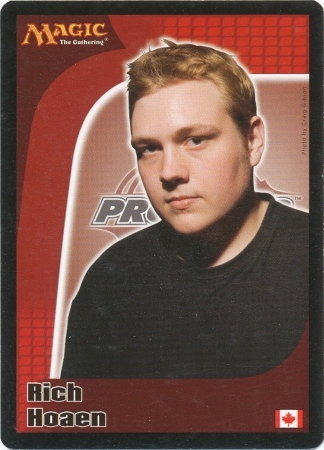 He works hard to be good at the game and his crowning career achievement is qualifying for the Pro Tour. Magic has weaved in and out of his life and relationships for years, and he’s thankful for what it’s given him. On the other hand, Craig Berry is the man behind the buyouts. He’s the man who spent thousands to pull all the Moats off the Internet, doubling the price overnight and pushing it up hundreds of dollars. He then did the same with Lion’s Eye Diamond, another key card for players trying to break into Legacy. He is the man who made a video announcing his intentions and spreading to the world how he was going to manipulate the current price of cards by buying all the available copies. For better or worse, it’s been the talk of the community over the past week, and I wanted to see what leads someone to such brazen action. I spent an hour talking to Craig and I’ve transcribed the most interesting parts of that conversation to give the community some idea what’s going through the mind of the man who has been dubbed “Magic’s Shkreli,” after the infamous executive who raised the price of life-saving drugs by more than 5,000 percent. Q: How did you become involved in Magic and later speculating? A: I’m 24 years old now, and I started in the wild west days of 2006-07 when Umezawa’s Jitte was around $25. I was 14 years old and wanted to make a buck, so I figured out I could trade bulk rares for Jittes, and then take the Jittes to dealers — which not everyone had access to back then — to double my money. I started out as a “scummy” trader, but that’s not who I am anymore. I don’t want to “get” people. My first spec was Bitterblossom when it was spoiled. I went to Star City, borrowed my grandpa’s credit card and specced on 60-70 copies at $4-6 each. I ended up selling them for $20-25. I paid him back with interest and that reinforced my opinion that there was money to be made in Magic. Q: So the big question is, why are you doing this? A: I’d be lying if I said my motivation wasn’t money; it’s most people’s motivation in life. But also it’s just a broken system. I bought 41 copies of English moats at $375 each. It went up because I bought it out, but it would have gone up eventually because they aren’t printing any more and it’s really good with Eldrazi getting popular in Legacy. I also fully believe that if I hadn’t, then either someone else would have or it would have gotten there in a year anyway. All I did was accelerate the process. And this is something that has been going on for a long time by big stores, it’s just not been done so publicly. Q: So why are you doing it publicly with the videos? A: I’m friends with a lot of the grinders and mid-level pros, and some of them look to me for advice. I call up three or four of my close friends before I do a buyout, but then I also make a video because I want to let my friends know what I’m going to do and there’s too many to contact individually. What’s interesting is that they just caught on. I’ve been making them for a year or so but none of them caught on until Lion’s Eye Diamond, which has something like 9,000 views compared to 300 or 400 for another one of my videos. Lots of people think I’m doing a pump and dump [hyping a card only to sell personal copies into the hype] but that’s not it. I’m still sitting at 36 of the copies of Moat I bought. I can’t see a reason to sell them now because the price went up but there’s no reason for it to come back down either. Now that so many people are following the videos I’ll probably stop doing them, because it isn’t very helpful to my friends at that point. Q: So tell me about the Moat buyout. A: Moat before was $375, and now it’s about $600. If you were playing Miracles in Legacy you should have had it for forever. And if you didn’t have it could have gotten it before; all I did was expedite the process. And it raised the total cost of the deck by a few hundred dollars. So if you were going to pay $2,500 for the deck before, you’re going to pay $2,800 for it now. People are complaining, but they’re still going to buy them. It’s like taxing sugary drinks — people will complain but they’ll buy them anyway. It’s the same with Magic. Q: For Moat, that makes sense. What about Lion’s Eye Diamond, a buyout that has priced some people out of playing Legacy? A: I don’t look at Magic as a game, I look at it as a business, and it’s kind of like day trading. I feel bad for anyone priced out personally, but it’s not going to change what the business is. It’s just how the world works. Magic isn’t really a hobby anymore; there’s so just so much money involved. You walk into Grand Prix Vegas last year, and there’s 46 dealers each spending on average $100,000 to $150,000 with some of the bigger dealers spending up to $400,000. That’s $7 million dollars spent — that’s how big of a business this is. The people who complain about prices don’t affect the market. They weren’t the ones who were going to spend money from the beginning. With Moat, I’ve never seen so many people complain about a card they were never going to buy. It’s really easy to have trigger fingers and complain about something, but it doesn’t affect the market. But I do feel for them personally. A friend commented that a kid at his store couldn’t finish his Legacy deck because all he needed were Lion’s Eye Diamonds and now he was priced out of them. That’s one of the genuine cases and I gave him LED’s at pre-spike prices. Q: But what if there’s more people like that than you can know about? A: It’s hard to differentiate the genuine cases from the ones for people just looking for stuff. I don’t think that’s the majority; I think the spikes affect very few people and mostly people just like to complain. Q: So where do your funds come from to do all these buyouts, especially if you aren’t selling right after the spike? A: I’ve worked hard for my money. I’m full-time in MTG, and I don’t own a store or an online storefront — I feel like I make more money selling to dealers. I make money through buyouts and speculating. 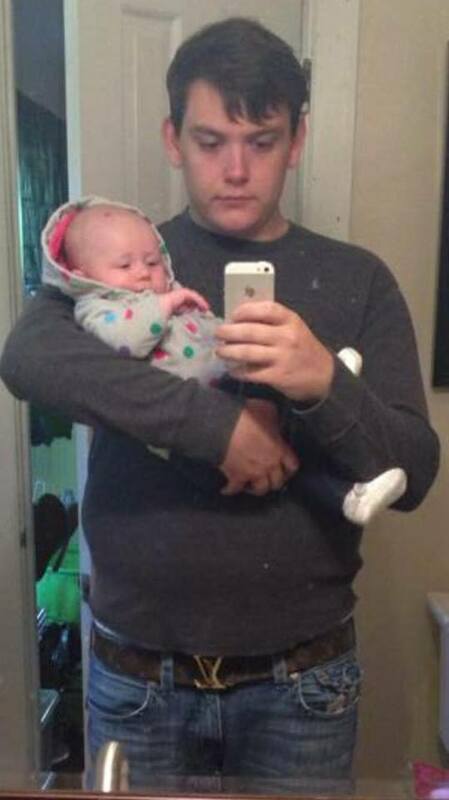 I had a daughter in 2014, and I’m working to support my family. I really got going in 2014 when I was presented with a collection to buy for $5,000 that I knew I could make money on. I didn’t have the money, but I knew it was worth it so I received a loan that I paid back with interest and since then I’ve turned that into everything I have. I’ve grinded really hard, working 14-15 hours a day. When I buy cards, I don’t buy just a few of them. For instance, I bought 1,000 Rest in Peace at 70 cents apiece, and while a lot of people thought it would be a long grind just to make $2, that card is now way higher and I believe it will be $10. It’s the best at what it does and even non-dedicated graveyard decks like Jund have a hard time with it. Q: Why Magic? Why not trade something like actual stocks? A: I guess my end goal is to get into day trading with the stock market, but I don’t know enough about it. I have a couple of friends who do it who I’ve been talking to, but it’s just a completely different world. I understand the Magic market more than the stock market, and to be honest I think the return on Magic cards is way higher than CDs or mutual funds or any of that. It helps that I know what to keep an eye on. When there’s a Pro Tour I’m looking at the Constructed decks that went 8-2 or better and spending money based on that — I went deep on Archangel of Thune after the last Pro Tour and then it later spiked. I also watch the market in other countries; Voice of Resurgence for a long time was $35 in Japan and $30 in Italy but only $17 here, so I bought a bunch of them because of that, and then later it went up as I expected. Magic cards are safer than traditional investments. Look at something like Brexit. It made the stock market plummet, but it didn’t affect Magic at all. If I buy a house I can’t make money off of that money. I think Magic is the best place to put that money to work. Q: How do you respond to people who call you the ‘Martin Shkreli’ of Magic and say that you are hurting the game? A: A lot of people think I do it maliciously, but I’m just running a business and the videos are really just to help my friends. I sold a friend a NM Moat for $300 because I want to help out my friends, not just make money from this. If it wasn’t me doing this it would be someone else. I hate sitting back and thinking to myself I could have make $15,000 in two weeks doing this, but instead I sat back and someone else did it. I used to be very afraid to spend money, and I would tell my friends what to buy and then I wouldn’t buy it and I would watch other people make money on it. I think that’s just the way this business works. I’m friends with a lot of people in the community, and I don’t think they would consider me a friend if I was out just to hurt the game. A: I don’t think I’ll be making the videos anymore. I think a lot of the best targets have been bought out. Moat was an easy one not only because of the Reserved List but because of Eldrazi in Legacy and how hard it is for them to beat. I don’t just buy cards because they’re on the Reserved List — I think that’s a bad plan. Look at something like Thought Lash. It was bought out and the price spiked but what’s the plan now? 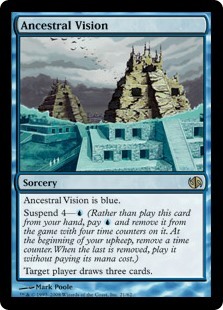 A card like Moat I can sell over time, but there is no demand for Thought Lash so where are you going to sell them? I only target cards that are going to continue to see play. There’s a few things that I have my eye on; City of Traitors is one of those. 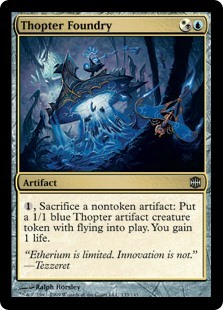 Gaea’s Cradle also should be way more expensive than it is. If Jace, Vryn’s Prodigy ever goes below $26 Mid I’m happy to drop $5,000 on it because that card is insane and people don’t realize just how few there are and how hard it is to reprint, being a double-faced card. 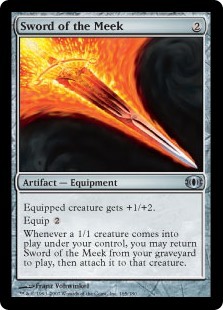 I think the best investment for many people right now is Sliver Hivelord; that card is so underpriced. It’s a 4-5 year plan but if people want to make money they should put it there because it will have a much higher return than any stock you can think of. A: One final thing. I think it’s really easy to hate someone when you only know one thing about them and it may not be socially accepted. You only ever hear about the bad and never the good, andI don’t think people realize how much I’ve done to help people in this game as well. I’m just like anyone else and I want what everyone else wants. I’ve gone through a lot personally recently —my mom committed suicide last year and I’ve had some other personal things happen to me that have been really rough — so to that there have been some terrible things said about me is hard. When you asked on Twitter what people would ask me if they could, one person wanted to know if I wanted a bullet in the head or the heart. That’s just crazy. I see people making videos condemning me, and if they don’t have something better to do with their time, I moreso feel sorry for them that they have to attack someone than anything else. In the end, I’m not doing these buyouts to be malicious. 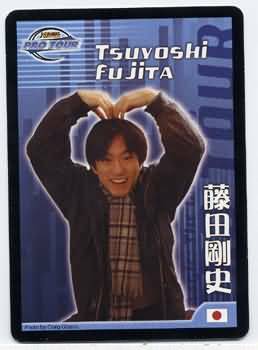 All I really want from Magic is to make a good living for myself, have fun with what I do and make great friends. There’s so many people on the Internet making up rumors about me, but I’m not a bad person, I’m a nice guy running a business. This was one of the more fascinating interviews I’ve conducted, and I want to add a few thoughts on the subject, which I promise to keep brief. Before I go further, I want to say that I understand the concerns about “giving him a platform.” But the truth is the buyouts are going to happen whether we ignore them or not, and they aren’t limited to one guy. We can learn much more from engaging in serious discussion on this topic than we can by trying to pretend it doesn’t exist. I believe Craig when he says he doesn’t see himself as the bad guy, and I certainly don’t condone some of the vitriol the Internet has spewed at him. I also think he’s dead-on when he says these things have been going on for a long time by many parties — many of them large stores the community interacts with regularly — but are only now coming to the forefront because of his videos. 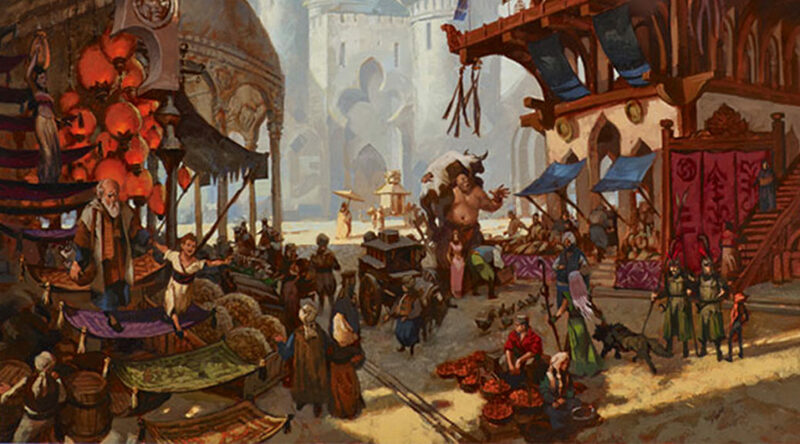 In the end, Magic is many things but it is first and foremost a business, from Hasbro to Wizards of the Coast to the largest online store to the smallest LGS in your hometown. The line about GP Vegas really stuck out to me — just think about how much money is in that room — and it really drives home the point that Magic, for all its great traits and community inclusiveness (we really do have the best community), is Big Money. And where there’s Big Money you will have people working to take their share of that money. Craig Berry himself is not the problem — he’s simply become the face of the underpinnings that move the Magic market. 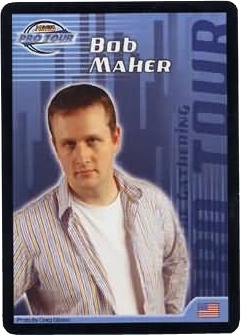 So long as Magic continues to be Big Money capitalism dictates that there will be a Craig Berry in the market. Not only is this inevitable, it’s also the business model Magic was founded on 25 years ago. That model hasn’t changed in nearly three decades, it hasn’t changed since you started playing and it’s not changing any time soon. And, from a business perspective, there’s no reason it should. Magic is doing better than ever and we have all benefitted from that success, whether it’s in watching videos on your favorite website, tuning into the Pro Tour on Twitch or competing in a regional 5k in your area. But capitalism and community make for strange bedfellows, and no matter how Craig or his peers see the game Magic is more than just a money-making vehicle. It’s a community that does incredible things for people every day of every week of every year for the past two and a half decades, and it does things — real, tangible things — for people that even the most aggressive mutual fund never could. That’s why the game is the success it is, and the reason people like Craig are able to make a living off from it. In the end, the question isn’t about whether someone can pull the trigger on a buyout or price spike, it’s about whether you can. Because there are real consequences to these actions that make perfect sense in an academic world but have real impacts on the average player in the real world. I run a singles store out of a LGS myself, and I have people come to me every week trying their best to make their money stretch as far as possible so they can try to afford that last Tarmogoyf or set of fetch lands and finally play on Modern Night. I see kids give up on even getting into the game because they know they’ll never be able to afford the cards. That’s why I do what I do in creating weekly Magic content, from TCGPlayer to Brainstorm Brewery and editing this site. People hate the term “MTGFinance” and I understand why — buyouts like this certainly make it look bad. But Magic finance is many things to many people, and to me it’s a way to help more people afford to play this game that I’ve seen do unbelievable things for families. I’m not writing or casting to tell the next wannabe Craig Berry which cards to buy, I’m doing it to help that 16-year-old have just a little better shot at accomplishing what they want to in Magic. Because, to me, it’s never been about the Magic — it’s about the gathering. I can never stop people from buying out cards to make money and it’s hard to blame them for running their business the way society dictates success, but I can go to sleep at night knowing I wasn’t the reason somebody somewhere isn’t suddenly four Lion’s Eye Diamonds short of finally finishing that Legacy deck they’ve been saving up for months to buy. I choose community over capitalism. What about you? Sometimes I tend to just ignore the recent MTG “drama” because, frankly, a lot of the time it’s just made-up concerns that the Internet wants to rage about because that’s what it does. So I brush it off and move on. This is not one of those cases, and I can’t do that. The (since retracted) cut to Platinum pros may not seem like something that affects most of us — and for the most part it’s not — but the community has stood together on this and come out with a very strong reaction. 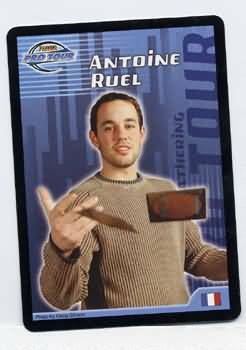 All of us at one point or another have dreamed of playing on the Pro Tour and (gasp) make a living playing Magic. 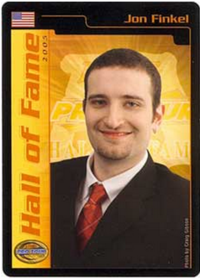 That was something very few players in the world got to claim, but it was something that was possible thanks to the prizes Wizards gave those players. That safety net — better defined as “expected income” — has been pulled out from under them, and in the worst possible way from a PR perspective. 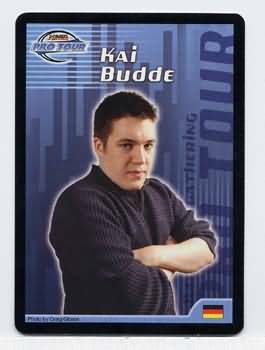 We just had what was by all accounts an awesome Pro Tour with eight different archetypes in a Top 8 for the ages, a great documentary by the Walking the Planes guys Nate and Shawn (seriously, check out “Enter the Battlefield” on Netflix), and we’re in what should be a golden time for Magic. This hurts all of us. Even if you don’t care about the financial plight or the death of the Pro dream, chances are you do care about content. Kenji (Numot the Nummy) stopped streaming for a week in solidarity. The Vintage Super League was delayed due to players pulling out. 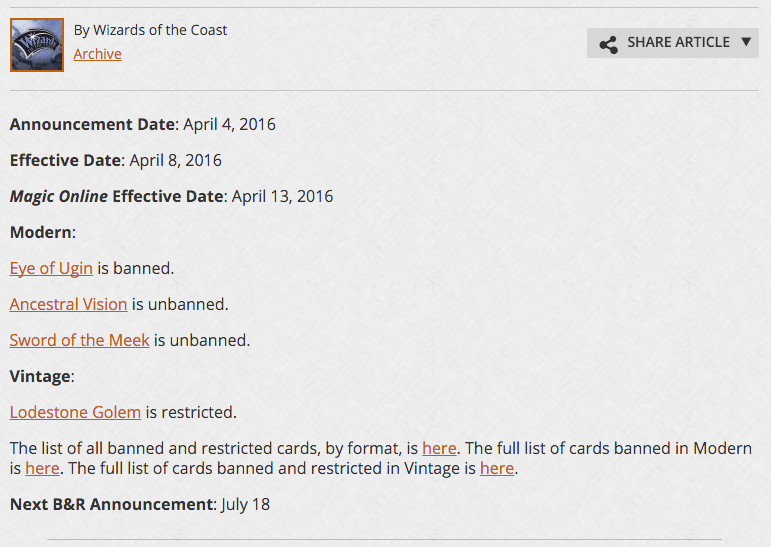 Content will likely be affected, and there’s the realest possibility I’ve ever seen of a Pro Tour being boycotted. Since then, Wizards has walked back this change. Players are getting their benefits for the next year and the World Championship will keep the increased prize pool, while future changes may be made. This is a good decision by WotC and I’m glad they recognized the need to make a change. They should be applauded for their decision to right the wrong and move forward. That said, we must also question why this decision was ever made in the first place, what led to this decision and what that might mean for the future. I hate that a very good Pro Tour and the awesome success of Steve Rubin has been overshadowed by this decision. I can understand some of the reasons this change may have been made, but the fact that there are some valid reasons doesn’t change the reality that the narrative has become that Wizards “tried to kill the highest level of the game,” regardless of how accurate that statement is. I’m glad that they took the minimum step of extending the benefits through next season so those players who have been pushing so hard to reach that level this year don’t have that bombshell dropped on them three-quarters of the way through the season. So while I wanted to spend today writing about the Pro Tour results and the effects it would have our seemingly wide-open Standard metagame, instead I’m going to talk about how important the pro system is to Magic, the danger in losing it, and where we might go from here. I’m not talking about the appearance fees here — I’m speaking about those big Happy Gilmore sized checks. Checks like this. Notice something about all those checks? They all come from big sporting tournaments, both of the eSports variety and the Happy v. Shooter kind. They’re big, in both value and size. They are heralded by fanfare. They’re exciting. They generate interest, headlines and, most importantly, revenue for the company. All it takes is a quick Google search of “DotA championship” and you’re blasted with images of stadiums sold out and players sporting those big checks. Every year there is a new round of articles talking about just how big the prize pool is for this year’s International, the equivalent of the World Magic Championship. I don’t believe this is true. In fact, I know it isn’t. 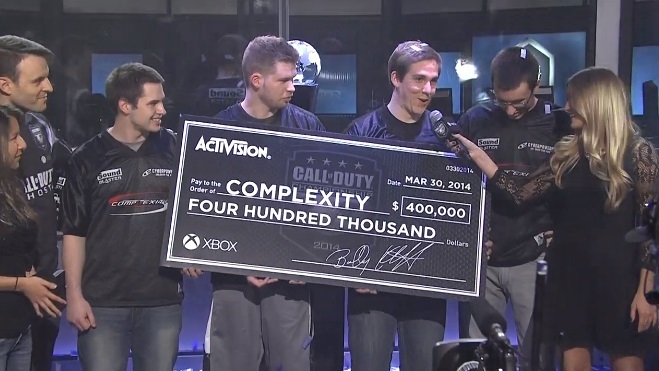 They want a vibrant pro scene, and they want those big checks for themselves. That’s the reason why most of this “lost money” was funneled into the World Championship, which is meant to be Magic’s marquee event on the calendar. This in itself isn’t a bad thing. Magic benefits from a robust World Championship prize pool, and especially given the fact they’ve placed it at PAX means that there are going to be news stories written about it, headlines seen and coverage given from outside news outlets. They don’t want less money for pros, they want more — they just don’t want it to come from within. Again, this is not necessarily a bad thing. Those big checks given out at the International? 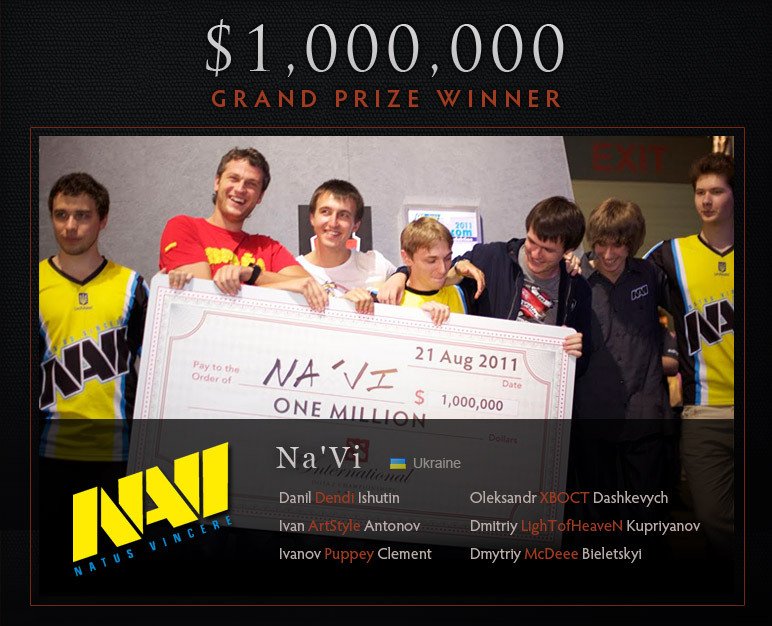 That’s what those DotA players made — they didn’t receive an appearance fee for being there. With a few exceptions — basically just the LCS in League of Legends where Riot provides a minimum salary for players that is supplemented by their teams — players in other eSports aren’t paid by their parent companies, they’re paid in sponsorships for their teams or have outside means of income of their own. There is some of this in Magic. Article writing, for instance, is in many ways a sponsorship — the prestige of having a writer like Sam Black or Owen Turtenwald on your site is worth more than the actual income generated per clicks. While this is somewhat unique to Magic thanks to the secondary market — a positive side effect of that thing players like to blame for all of the game’s evils, by the way — it in many ways mirrors the sponsorships other eSports players receive in their games. The difference is entirely in scale — Star City and Channel Fireball aren’t paying what Red Bull or AlienWare are. Per-article payments from Magic sites aren’t alone enough to live the modest life of a Magic pro — that’s where WotC’s appearance fees came in, and why pulling it from Platinum Pros was so devastating to those relying on it. 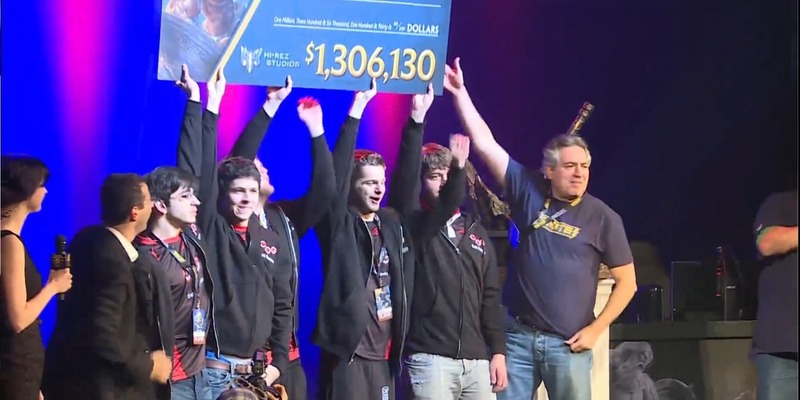 It’s possible that Wizards thinks that by funneling that money into the World Championship instead for that all-important big check picture, it will help grow Magic’s image as an eSport enough to attract those “real” sponsors and make up that gap in pro’s lives. Of course there are plenty of problems with this line of thinking — which we’ll get to shortly. But it’s likely that this was the intent behind the changes: make players less reliant on Wizards, put the onus on sponsors, and increase the prize pool and visibility of the World Championship to help speed up that second point. Regardless of that intent, the rollout itself illuminates some problems with the current system. Let’s start with the obvious: you can’t pull benefits from players without any advance warning. That was obviously the biggest problem with the rollout, and the one that has since been addressed by keeping these benefits in place through the end of next season. We can all agree that reinstating that subsidy for those promised it is a good thing. But the fact that such a subsidy was necessary in the first place is a problem. Twitch streams aren’t supporting Magic pros. Articles go a long way, but aren’t in themselves supporting Magic pros. Appearance fees alone aren’t enough to support Magic pros. Tournament winnings are not large or consistent enough to support Magic pros. All of these things together combine to give these players an income they can live on, but let’s not pretend they’re living well. Taxes are difficult to plan for. Basic bills like rent must be planned for months in advance due to uneven income. Forget about putting much of anything back into a 401k. 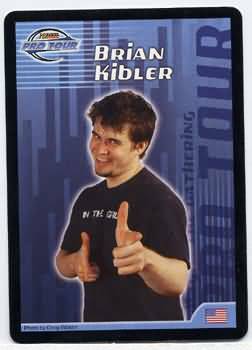 Things can be summed up simply: being a professional Magic player is a good job, but it isn’t a career. Compare this to professionals in other eSports, where they may not enjoy a career as long as the average Magic pro but they make orders of magnitudes more, meaning that there is plenty left over after the peak of their career to be invested or saved or see them through college. None of this is necessarily Wizards’ fault. They have a tall order in front of them: sell the dream of making a living “as a pro” without having anywhere near the money of other eSports titles. The dream of being a Platinum Pro is incredibly important to keeping Organized Play going at the lower levels — as I said, we’ve all dreamed of winning the Pro Tour — but reconciling that with a game that simply doesn’t have the reach that other titles do is a difficult task. Consider all of this and you can see why it’s not as simple as “pay the pros” or “give us more prize support.” Yes, Wizards of the Coast can increase the prize support (and they should), but that only addresses part of the problem. Prize pools alone don’t make for a healthy and growing eSport game — look at Versus from the late ‘90s in which big payouts were given but the game died anyway — and in 2016 player income provided primarily by the game’s parent company is an outdated model. There is no easy solution to this, and there is no one answer to fix the problem. But here are a few steps that I believe will come about over the next few years to help push Magic into the future. Let’s talk League of Legends. I’ve followed it very closely over the past three or four years, though I admit I fell off a bit this split. That said, when the playoffs began I was ready to watch with a vested interest: I wanted TSM to win. Why? I know Bjergsen and Doublelift (who I’m not even a huge fan of) but after they revamped the lineup this year I don’t have any particular pull to any of their players. But when they opened the first round you can bet I cared about their prospects regardless of roster because I enjoyed following them in the past. That’s brand loyalty to a team that doesn’t exist in Magic. And it’s not Wizards that’s to blame here. Just like I’m a TSM fan or you’re a Cubs or Packers or Duke fan, the names on the back of the jersey matter less than the names on the front. We don’t have that yet in Magic. 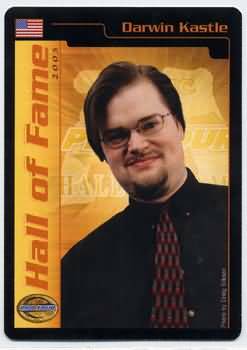 ChannelFireball has come the closest of any pro “team” to achieving this goal, and I think that Team EUreka and Team Ultra Pro have been doing a good job recently. But even as someone who follows the ins and outs of Magic teams closely, it can be hard to keep track of rosters. Further confusing the issue is that different members of the same team actually have different “sponsors” when it comes to the shirt they want to wear in front of the camera. Players write for one website, play on the team of another and are sponsored by a third. It’s insanity on the part of sponsors and impossible to keep up with. This is all a problem. If Magic’s own companies don’t want to invest in teams, how can we possibly expect Red Bull or Monster to do the same? Until we see more “internal” investment in teams and branding to the point that fans want to buy jerseys (or polos or what have you) like they do for Cloud 9, it’s going to be hard to expect much more than we have now. 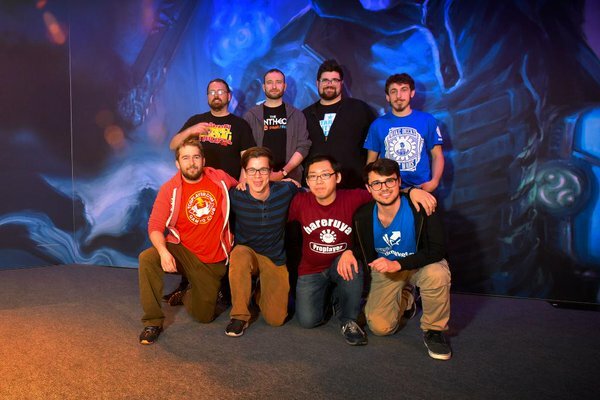 Another benefit of effectively branding teams is that when Casual Joe from your FNM does happen to find the Pro Tour on Twitch, they’ll be going into it with a team in mind and some faces to root for whether they’ve ever seen them in the past or not. Teams are a wonderful thing, and the concept has not been pushed nearly enough in Magic. I hope to see that change in the years to come. I know I’ve talked about how Magic doesn’t draw the eyeballs that it needs to lure in big sponsors, but let’s not pretend that Wizards — a subsidiary of Hasbro, as we’ve been reminded — is a little upstart company with no strings to pull. Sure, maybe Coke or RedBull isn’t interested in sponsoring just the Pro Tour — but I bet they’d be willing to listen to an agreement that includes integration with other Hasbro products. When we see Optimus Prime plastered all over 12-packs of soda, why isn’t Hasbro including another of their “core brands” in Magic as part of those negotiations? Sure, it may not be super desirable for Mountain Dew to put Jace on its packages, but they’re also unlikely to make it a huge sticking point when it comes stapled to other Hasbro properties. Hasbro has an opportunity to use its existing brands to increase exposure to another in Magic, and to date we’ve never seen much of an indication of that. I’m aware this is a mammoth goal, but there’s no reason it can’t start on a much lower scale. Magic doesn’t have the raw numbers to pull in the sponsors it would like — but in this case being owned by an industry giant like Hasbro should be a positive. After all, Heroes of the Storm isn’t so popular as to be on ESPN over something like DotA or League of Legends, but the fact Blizzard merged with Activision years back means they have the power to make deals like that happen. I’d like to see Hasbro step up in a similar, if smaller, manner. Obviously this is a touchy topic, and one I don’t to spend forever on. I’m of the opinion that Magic Online is much better than it’s generally given credit for — I very rarely encounter bugs — but the fact that it both is difficult to learn, use and watch is a big problem for interest in Magic as an eSport. Magic is a much more complex game than Hearthstone — that’s why it’s better and always will be — but due to the cost and ease of viewing online it holds a huge advantage in the Twitch realm. I’m not going to claim to have the solutions to this, but I’m cautiously optimistic about the rumored “Magic Next” platform we’ve seen mentioned in company filings. Provide a product that better sells to the masses in both accessibility and viewability, and you open up a huge realm of income for the game’s top players and most entertaining personalities. On this note, I have to give Wizards credit for doing a lot of good things in this area. Tying Worlds to PAX is a genius move that elevates the event and its status in the world of eSports. The Spellslingers series is great. LoadingReadyRun is awesome. As much some people may not like it, having Wil Wheaton narrate Enter the Battlefield is great. For all the flak that Wizards receives, the marketing team actually has been doing a great job in the past few years, and the Escape Rooms for Shadows Over Innistrad are just the latest step in this. The problem is that these things are overshadowed by the blunders made in other parts of the company. Too many times it feels like the PR department either doesn’t exist or isn’t consulted, and these missteps overshadow good work done by the company and just serve to give the Internet something to rail against the game’s parent company, which happens to be a favorite pastime of the Internet. Pro Magic is not dead. Wizards didn’t do this to kill professional Magic, and they didn’t do it because they don’t care about their players. They made this reallocation of funds in an attempt to grow the game in the big picture, but as is too often the case with Wizards they gave the impression they forgot those standing in that picture. The pros got paid, and I’m glad they did. But this is not when we sit back in chairs and chant “we did it, Reddit.” There are still very real problems with Magic as an eSport to solve, and that’s a conversation we need to have. Things just don’t slow down, do they? 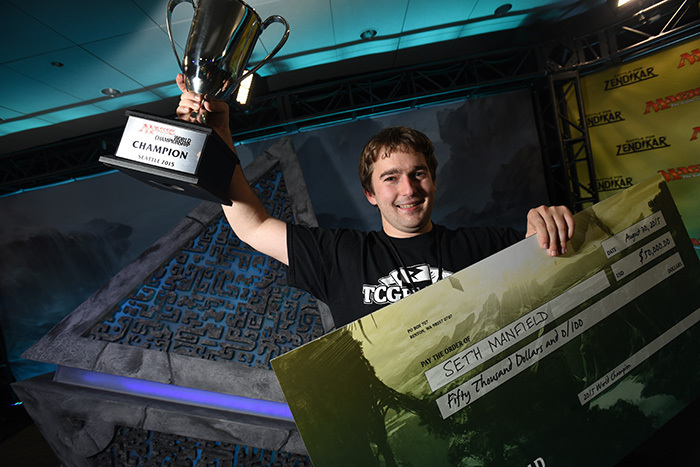 Not only do we have the Pro Tour fast approaching, with (hopefully) less Bant Company making the rounds, but there was also a triple Grand Prix weekend, some big Standard movers and even some rather big Modern news you may have missed. This is one of the busier times in Magic finance, and the interesting part is that it hasn’t always been this way. 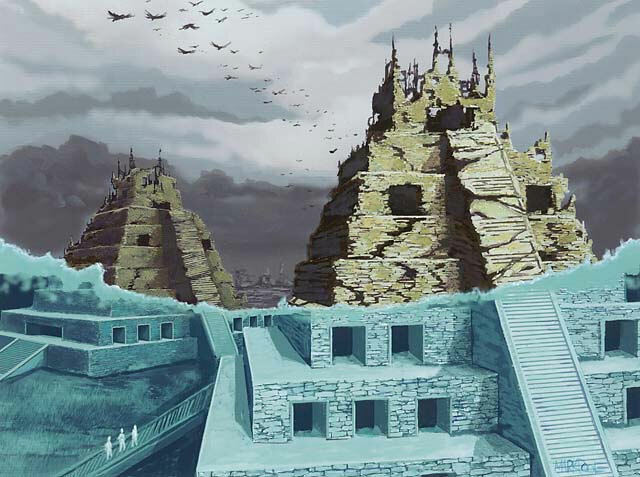 In fact, the spring-to-summer part of the year is typically a big lull that I’ve termed in the past the “dead zone” of Magic finance thanks to a Standard format being settled and not much else going on as everyone enjoyed the nice weather rather than slinging magical cards. It turns out the new block structure may be changing that. There’s been no shortage of interest in Standard since Shadows over Innistrad released, and the Modern unbans have shaken up that format as well. So on the eve of the Pro Tour, where do things stand?